Ten years ago I was 23, fresh out of college, and newly relocated to Los Angeles from the east coast, having attended school in DC but grown up in rural Pennsylvania. Leaving anything always feels a bit like starting over, but driving four days across the country and starting the rest of my life in Los Angeles was more stressful than any transition I’d ever done before. After 8th grade is…9th grade. After high school is… college. Wait, what is a 401(k)? How am I supposed to get the Best Job Ever with zero work experience and crippling shyness? If I get an interview, what do I wear? How do I negotiate a salary? How do I design an apartment on a budget that I won't be embarrassed by? No, seriously, what is a 401(k)? In that moment, there was nowhere for me to turn. I had always loved GQ and Esquire but let’s face it – they don’t talk about any of that. Great for $900 t-shirts, window shopping, and scoffing at ridiculous fashion trends, but not much else. I knew what I was going through had to be common, so I decided to create the very resource I desperately needed. I didn’t start Primer because I thought I was some wise expert who had all the right answers. Quite the opposite. I was just another directionless guy staring into the abyss we call adulthood. I started Primer to learn the things I didn’t know. The things our culture and schools don’t teach us. The things every guy must discover in order to grow, define what success means to him, achieve it, and reach lasting happiness. Unbelievably, that was ten years ago. Ten years ago. I’ve been working on Primer for a third of my life. An eternity separates the guy who started Primer from the man I am now, but it feels like Primer is just getting started. What began as a resource for post-college guys has grown and evolved into something for everyone regardless of age or life stage. The average Primer reader is actually in his late 20s or early 30s with some in middle school and many over 60 – and fully 20% of our audience are women. Primer is only possible because some unpredictable search engine voodoo or stray social media post or a friend’s recommendation brought each of you to this very site. Without you, Primer is nothing. Primer is its readers – its readers are Primer. Most of our contributors, designers, photographers, developers, and advertisers started as a reader. I’m proud of our 10th anniversary, but I’m so much prouder of this rare community of thoughtful, helpful, passionate people that has grown up around Primer. In the early days I would see nastiness and negativity in the comment sections of other websites and wonder when it would infect our community. For those of you who have been here from the beginning, I’m humbled by your support and beyond thankful for your contribution. If you’re new, welcome, it’s only getting better from here. Throughout 2018 we’ll be celebrating Primer’s ten-year anniversary with giveaways, new features, and a few surprises along the way. I’ll also be doing my own take on “ask me anything”-style posts, One Question With Andrew – so send your questions to me on Twitter at @primermag or enter your question in the comment section below! To make sure you get all the great stuff heading your way, sign up for our email newsletter by click here. It’s been a privilege to lead Primer Magazine for the last ten years. Here’s to the next ten and beyond. Congratulations, Andrew! Here’s to 10 more years! Couple years ago I found primer after looking through Google on outfit inspirations, now I’m glad to be part of this community. Here’s a healthy toast to the past 10 years, and hopefully to another 10 years! Congratulations! This video was well done. I love that you saw the opportunity and filled the need. Fantastic job. Congratulations! And thank you for all that you do! White canvas shoes. That’s what led me to stumble upon my first Primer article several years ago, and I’ve been coming back ever since. In fact, I just dipped into the Get Up archives for a little rehearsal dinner inspiration! Thanks (and congrats), Andrew, and keep it coming! Nice! Glad it was useful! 🙂 I remember that piece, it was awhile ago, thank you for sticking around! I’m a college kid who really wanted to start putting at least SOME effort into how I look. I secretly installed Pinterest (it’s not just for girls, I know, but my friends don’t believe me) and immediately stumbled upon your Getups. I LOVE those. They are 90% of my inspiration board. Then I followed one of the links from the pins and ended up here! I love this website. Email notifications from Primer are the only ones in the “Promotions” tab of Gmail that I don’t utterly ignore. I jump on those bad boys ASAP! Thanks for all your work, Andrew and staff! Congratulations – I know Primer was influential in my growth in fashion and confidence as a late 20’s guy entering the next stage of life. Thanks Ron, that’s so awesome to hear. I’m glad it was helpful for you on your journey. Congrats and thank you for being my HUGE inspiration to my wardrobe! Thank you, you’re very welcome, that’s awesome to hear. Andrew, I join the chorus of your readers who send along their congratulations. Your “origin” story has truly shaped what Primer is today. Keep up the great work and best wishes for continued success. Congrats Andrew! Loved your site since my friends and I discovered it 6 years ago! Congrats, Andrew! Let me know when you have your “How to Avoid a Midlife Crisis” guide up. Haha! That’s a good idea for a guide! Congrats! I find great value in your site. There are tons of resources across the web these days, but there is a certain comfort in knowing that every time I open up a new article on your site, there is a guaranteed level of thought and quality that went in to it’s production. Keep up the great work…here’s to the next 10! Thanks Nick, it means a lot and is motivating that you notice the level of work that we put in. You also happen to have non-american readers. I’ve found your site sometimes about three years ago and have been reading it ever since. That’s awesome! 😀Hello from the other side of the world! Congrats Andrew! I’m a 2nd year undergrad college student who follows your blog religiously. This is the best men’s lifestyle/fashion blog out there. Yours is the only that is practical, fashion-forward, modern, and easily engaging. I just wanted to tell you thank you for that and I’m looking forward to the future of Primer! Way to go Andrew. I love your Daily E-Mails where I learn so many fun things. Although I am Female, what you write about is just as relevant most notably keeping an Apartment Clean and the like. You’ve done so much for folks helping them with their issues and the like. Keep up the good work. Congratulations, Snavely! It’s been a hell of a fun ride, and I’m looking forward to the next 10! Wow! Congratulations, and may happy returns! I absolutely love your mission of addressing the things that we are expected to know, but nobody teaches us! Well done, Andrew! Congratulations! I started going to this site back in 2013 and have loved it ever since! Keep up the amazing work!! Bravo! As one of your engaged readers, 30 years your senior this year, I appreciate your eye for classic, yet adaptable fashion consciousness that can apply to men of all ages. Your current update of the Cagney look is a timeless example, without your losing track of the forward trends either. Well done! Congrats Andrew! I’m inspired by your tenacity, entrepreneurship, and positive outlook. When I stumbled across Primer 7 years ago I was in my late 20s, single, in grad school in DC, and searching for bachelor pad ideas. 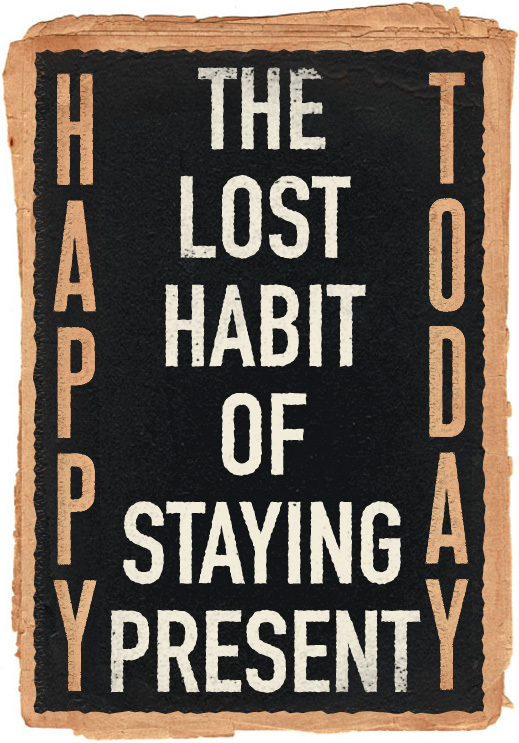 I stumbled across “the intentional apartment” and started following your site. Im now married, a father, upgraded to a house, and yet still finding significant value in the quality articles across categories (style, work, personal enrichment, etc). Keep it up! We appreciate you, Andrew. A lot. Congrats – it’s really a great site (even for a 51 year old guy). Wish it had been around ‘back in the day’….. Think I can speak for all of us when I say, thank you so much! I can’t even remember how I stumbled upon your site 8 or 9 years ago, but it immediately felt like nothing else on the internet. I’m just a couple years younger than you (like most of these guys I assume), so it’s been cool to grow with you and see the site evolve as we got older. Cheers! It was 2014 and I was in the middle of a deployment in eastern Afghanistan. I was using StumbleUpon and found your website and was instantly hooked. I read article after article and built my foundation that I now use as a civilian going back to school. You’ve helped me stay current and confident on being a successful adult male in today’s society, so thank you Andrew, and keep it up. My recollection is probably wrong, but I think I discovered Primer after Andrew posted it on StyleForum.net. I’ve always been frustrated with men’s magazines myself, so I thought he had a great idea then and I still do. Seems like it was originally published as a magazine in PDF format? Anyhow, congrats on a successful 10 years Andrew and thank you for keeping it real. I may be older than your target audience, but I still learn new things every day. If you ever consider adding a new department to Primer, might I suggest an automotive section? I’m sure general car tips would be helpful to many, but it’d also give you a chance to show off that sweet Vette! And who knows? Maybe one day you’ll be reviewing the latest McLaren or Tesla for Primer readers? Hey man, congratulations. I don’t comment here as much as I did at Dappered but honestly a big part of that is I just don’t have quite as much time anymore. Still, I really love your content, and try to take a look whenever I get a chance (the titles and such in the emails help.) I like to think of your site as the new and improved Dappered. I say that for two primary reasons: first, you seem to have a lot more range and cover topics that are probably more useful. Second, you haven’t neutered your sure by pulling the comment section; I stopped reading Dappered right around the time they did that. This actually reminds me, I still need to get those art prints made up. If you have any more cool pics / decoration concepts like that which kinda put decorating on easy mode, please, please, please post them. Also drink ideas (I prefer classic, simple cocktails, so I’ve already gotten a lot of use out of what you already have.) Obviously the outfits are awesome as well; stylistically you’ve got very similar tastes as me, but are notably better at putting together things I would never touch on the shelf, but really should. I appreciate that, because it had helped me start to move away from being too one-note. Anyway, keep it up man. Glad to hear things are going well for you! 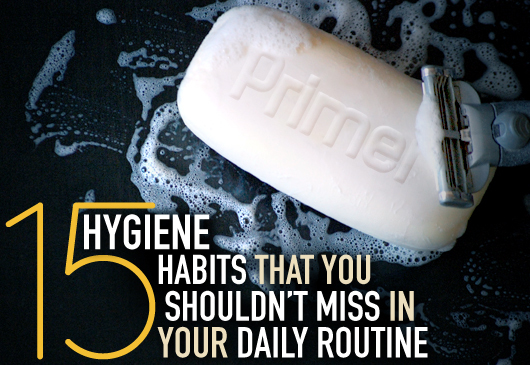 Hygiene is one of those things everyone is expected to know but no one ever talks about, and there's more to it than just wearing deodorant and rinsing with mouthwash.